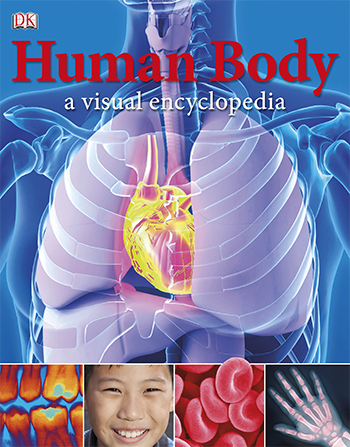 Next in the bestselling tradition of Animals: A Visual Encyclopedia and the first substantial human body encyclopedia aimed at young children, Human Body: A Visual Encyclopedia entertains and excites, while putting key biological information at young readers’ fingertips. Employing a dynamic visual approach, this children’s encyclopedia explains how the body works through pictures, making the subject matter accessible and intuitive to readers of all ages. The accompanying text is simple, lively, and packed with amazing facts and surprising stories that appeal to curious minds. Specially-commissioned 3-D imagery of the body systems and organs will delight every budding scientist and doctor!